Medicare Eye Exams and routine eye tests including glasses and contacts fitting. State of the Art- Cataract Surgery with No needle, No stitch, No patch same day recovery with the latest in lens implant technologies including premium implants for “Glasses Free Cataract Surgery”. Cornea and External Diseases Surgery including all types of Cornea Transplants, Amniotic Grafts and Ocular Reconstruction after Eye Cancer Surgery. Vision Correction Surgery with all types of Lasers including the “All Laser- Blade Free Lasik” and all other modalities of vision correction including Lens based vision correction and Clear Lensectomy. State of the Beauty- Oculoplastic Surgery including Lid Tucks and complete Peri-Ocular and Mid Face Rejuvenation. 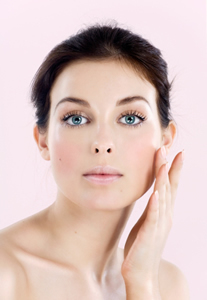 Complete Facial Cosmetic and Reconstructive Surgery including Face Skin Cancer Surgery utilizing microsurgical techniques to achieve the most natural results and appearance. Glaucoma Medical and Surgical Management with access to all the latest technologies as Laser SLT, Shunts and ECP. Retinal Disease Medical Management including Diabetes, Macular Degeneration, Floaters and others.